An Overall Review Of The Singapore Airlines Baggage Policy! Things become easy and convenient if you have sufficient information regarding the baggage policy of the airline in which you are traveling. As no one wants to face delay or missing of the required flights just because he/she is carrying the extra stuff beyond limits. Basically, there are 2 types of baggage in concern with the traveling through the air i.e. the checked-in baggage and the carry-on or hand baggage. And all you need to know is the limits and restrictions attached to it on different airlines. When we talk about one of the world’s best airlines, Singapore Airlines does hold its place among them. 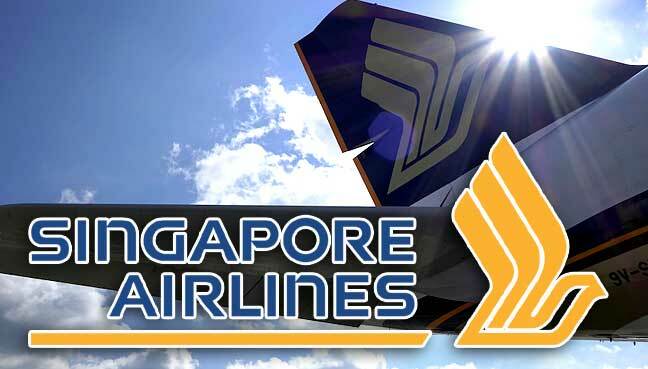 This makes the passengers eager to know about the luggage rules and restrictions linked to Singapore Airlines baggage policy. The very basic thing which every airline traveler needs to know is about the checked-in baggage allowance which is based on either weight or piece concept. 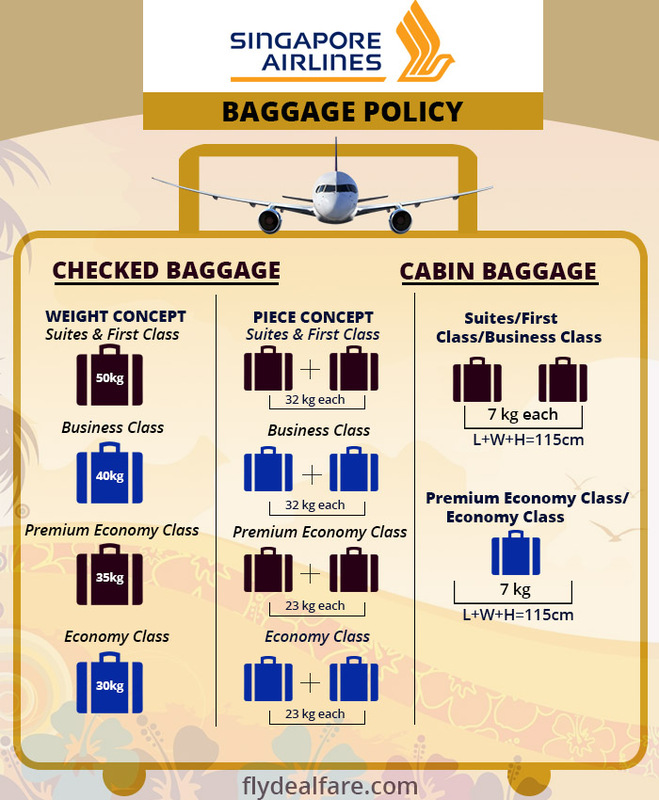 Following are the details regarding Singapore Airlines check-in baggage restrictions. Whether it is Singapore Airlines baggage allowance for economy class or first class, passengers are strongly advised not to carry any type of valuable and fragile items in your checked baggage such as laptops, medication, securities / negotiable papers, silverware / precious metals, money/jewelry/other valuable items, business/travel/identification documents, perishable items. As per the rules, passengers are allowed to carry the checked bags but it must not exceed 32kg. According to the rules, your baggage should not exceed 200 cm x 75 cm x 80 cm (length x width x height). According to Singapore Airlines carry on baggage allowance, passengers can carry up to two bags into the cabin depending on the class in which you are traveling. If the passengers follow the above restrictions of the Singapore airlines cabin baggage, they can easily stow the baggage securely in the overhead compartment or under the seat in front of them. According to the Singapore Airlines baggage limits, the maximum dimensions attached to the additional baggage are (40 cm x 30 cm x 10 cm) each. In case, the item exceeds the total dimension of 80 cm (i.e. length, width, and height combined), then it will be counted as part of your standard cabin baggage allowance. In such a case, you will require to check in either your cabin bag or the additional item. In case, any passenger is holding a ticket issued by Singapore Airlines, he/she can pre-purchase excess baggage online at up to 20% discounted rates. In case, your itinerary doesn’t include the US, then there is an option of pre-purchasing the excess baggage in blocks of 5 kg and its maximum limit is up to 100 kg per flight. Carry up to two additional baggage pieces in excess of the free baggage allowance. Take the oversize baggage for each oversized piece of baggage within the free baggage allowance. Explosives, fireworks, Christmas crackers, sparklers, etc. Compressed gases; for example butane, propane, lighter fuels, etc. Firearms or parts of a firearm such as revolvers, rifles, etc. Any sharp-edged or bladed objects such as knives, swords, and pocket knives, scissors and knitting needles are considered illegal by local law. Weapons like whips, nan-chakus, or stun gun also come under the restricted items list as per the Singapore airlines baggage rules. Sporting equipment including baseball or cricket bats, hockey sticks, golf clubs, billiard cues, etc. are also restricted. When traveling to/from the US, most of the sporting equipment is considered as one piece of baggage, but a canoe is treated as two pieces of baggage. Passengers are also restricted to carry devices with spillable batteries. Talking about the Singapore Airlines carry on liquids, while carrying any kind of liquid or Aerosols such as hair sprays, perfumes, medicines containing alcohol, etc, it should be between 0.5 Kg/0.5 L per article and 2.0 Kg or 2.0 L in total weight. All type of small lithium battery-powered personal transportation devices including mini-Segway hover, board, solo wheel, air wheel, etc. are totally prohibited as checked-in and hand-carry baggage in any of the Singapore Airlines’ flight. Liquids and aerosols will only be allowed in cabin baggage if they’re kept in containers of not more than 100ml each. If you are carrying any prescription medicine, then don’t forget to carry the supporting documents like an ID card or a letter from your physician for the verification process. Electronic cigarettes which are also known as e-cigarettes or personal vaporizers are only allowed in the carry-on baggage of the passengers. However, the use of e-cigarettes in the cabin is prohibited at all times. The cats and some breeds of dogs are allowed to travel with the airlines and these need to be complete the age of three months till then. PETS AS CHECKED BAGGAGE: Pet travel services are available only for selected airports. Pet travel requires advanced arrangements. You need to inform your travel agent or the airline’s local office at least 2 weeks in advance regarding the same. Pets and their containers are considered as excess baggage, hence excess baggage fees must be applied respectively. Passengers traveling with infants are allowed to enjoy special allowance as they can carry on board free of charge infant’s food and care items (up to 6 kg). In case of piece concept: 1 piece of the bag not exceeding 158 cm with a maximum weight (23 kg for Economy & Premium Economy and 32 kg for Business, First class & Suites) while traveling to/from the U.S. In case of weight concept: 10 kg of baggage on all flights except to/from the US. Along with that, a fully collapsible stroller or carry-cot or car seat may be checked without charge by the passengers with infants. I flew from Amsterdam to Brisbane via Singapore. AMS to SIN was in premium economy on an A350. The SIN to BNE sector was in standard economy on a Boeing 777. At this stage, Singapore Airlines doesn’t offer premium economy to Brisbane. These two experiences were extremely different. In Premium, I paid a little extra to sit in the front row. I was able to extend my legs fully and adopt different seating positions. It was relatively comfortable. IFE was excellent. The large screen, extensive selection, and quality headphones made the flight pleasant. Food was nice and the cabin crew was really professional. Changing in Singapore to the standard economy – the seat was obviously narrower and my knees touched the seat in front. I could only adopt one sardine-like position in my seat. All in all, it was quite uncomfortable for me. The food and service were efficient. The tiny screen was hard to see, having to often adjust the angle and on the 777, the selection was less than on the A350. In my opinion, there is a very distinct difference between standard and premium economy and I think the extra cost is well worth it. I flew from Houston to Manchester. The food was excellent; every meal was hot and tasty and served with a smile. The best part is that when we had a little turbulence along the way, the Captain came on and re-assured us. I will definitely fly Singapore Airlines again. It was my first trip with Singapore Airlines from Frankfurt to Singapore and the journey was flawless. The staff was nice on the ground as well as on the plane. I had a Boeing 777 on the way in and A380 on the way back. First of all, this plane is awesome! It’s so massive and super silent. I paid for the extra space seat, which turns out to not be a super good idea. You got an entertainment system in the arm seat that is less pleasant. The service was good but the food was not so good, to be honest. The service was nice but, I didn’t find anything that stands out compared to other lines. The seat was ok, I could sleep without too much discomfort, entertainment system was fine, no complaints about it. In the end, I had two nice flights, I really enjoy them but, I didn’t find that the Premium Economy in a 5 stars airline was much different than a 4 star one. So, I’d recommend Singapore Airline, but, if you find the same facilities for less money in a less prestigious airline, then I’d switch for the second one. Do You Know What Makes Singapore Airlines The World’s No. 1? Do You Know The Most Ravishing Facts About The Singapore Airlines?